In an era described as the Sixth Great Extinction, plants both rare and familiar are at risk, and climate change is accelerating the loss of unique habitats and species. 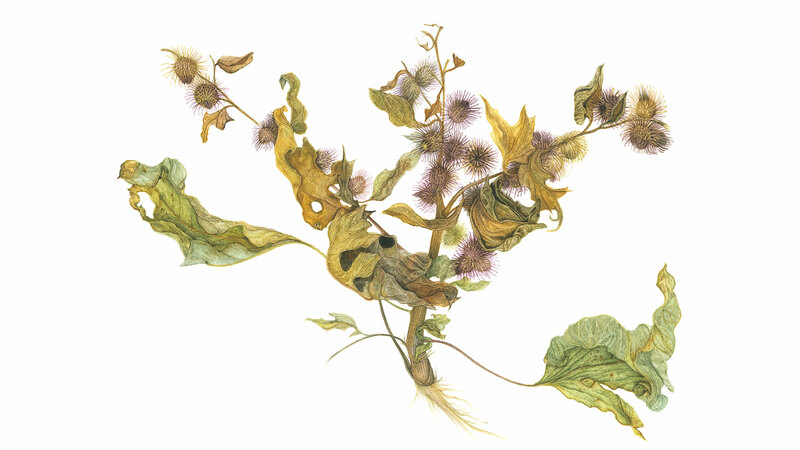 For Uprooted, we've asked five Wisconsin artists to create new work focused on the diverse plant communities under threat in Wisconsin. Cynthia Brinich-Langlois and Bethann Moran-Handzlik have turned their attention to the northern forests; Helen Klebesadel and Lynne Railsback have focused on central Wisconsin's prairies and oak savaanna; and Katie Musolff has been planting amid wetlands and gardens near the Mississippi River. Uprooted will also include a group of black ash baskets by Marian Miner and birchbark pieces by Terri Hom, as climate change is accelerating the vulnerability of both birch and black ash. All of the work created for Uprooted has been informed by direct observation in the field as well as consultation with naturalists and scientists who are tracking the impact of climate change. We hope this exhibition will raise awareness about the serious threats facing our region's fragile plant communities, as well as the wildlife that depends on these plants for food and habitat. Join us to hear the artists talk about the work created for Uprooted. Cynthia Brinich-Langlois grew up in Bethel, Alaska. She completed undergraduate studies at Kenyon College in studio art and environmental biology, and received an MFA at the University of New Mexico in printmaking, where she also participated in Land Arts of the American West and the Tamarind Institute’s Collaborative Lithography program. Terri Hom is a member of Lac Courte Oreilles (LCO) Band of Lake Superior Chippewa Indians, and lives on the reservation in northern Wisconsin. Born in Minneapolis, she was raised in Wisconsin. Currently, she is doing an apprenticeship in birchbark and quillwork art with Pat Kruse, a 2018 Native Arts and Cultures Foundation Mentor Fellow. Marian Miner of Tomah, Wisconsin, is one of very few Ho-Chunk basket-makers still practicing this traditional art form. She has work at the Smithsonian Institution, and during the Obama era Michelle Obama displayed one of Marian's baskets in the living quarters of the White House. At age 84, Marian continues to make baskets in her spare time. Bethann Moran-Handzlik received a BA in Graphic Design and Philosophy from St. Norbert College in De Pere, WI and an MFA in Painting and Drawing from the University of Wisconsin, Milwaukee. 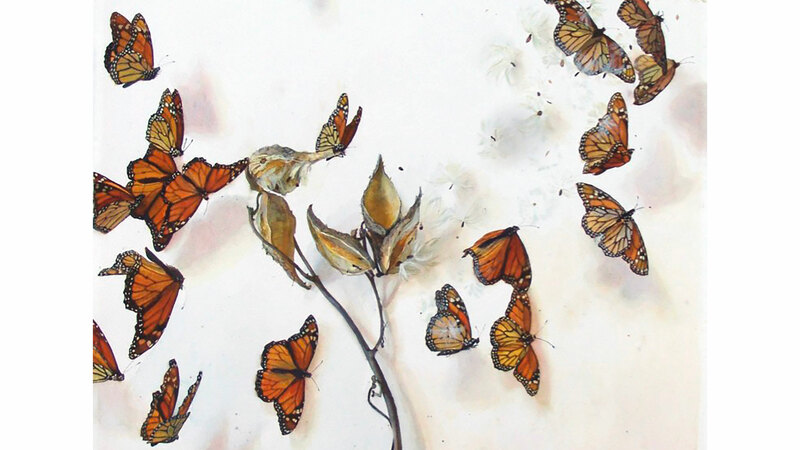 Working from direct observation, her work reflects the beauty and wonder of the natural world. Katie Musolff lives and works on the backwaters of the Mississippi River in Vernon County, Wisconsin. "I grew up outside of Milwaukee and graduated with a BFA in painting from the Milwaukee Institute of Art and Design in 2004. After making a living in the city for a while, I met a man, fell in love and followed him to my current home. 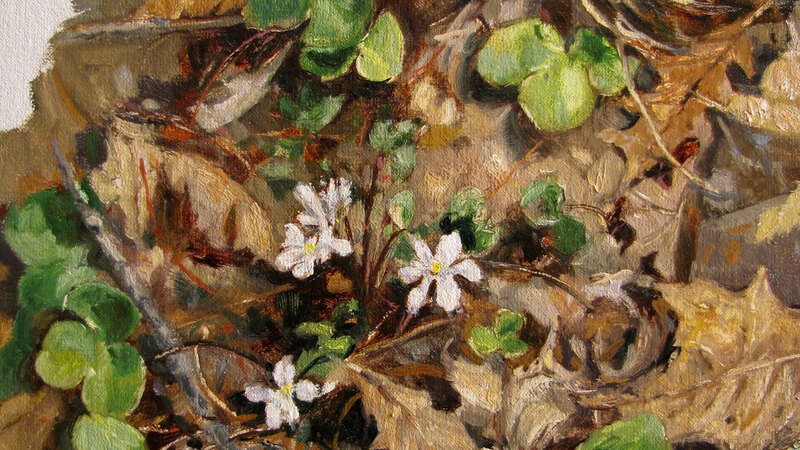 When Lynne Railsback began painting, she didn't paint roses, orchids, or iris. 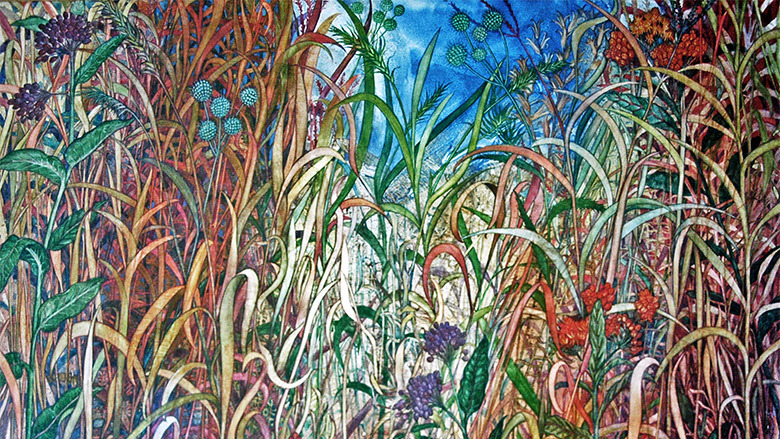 The plants that grew in the woods and prairies in the Midwest were her favorite subjects. She particularly enjoyed the plants in fall and winter with their interesting shapes, colors, and textures.